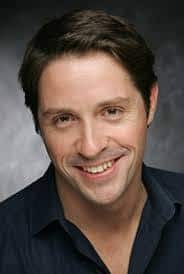 Australian tenor Michael Smallwood entered the prestigious Opera Studio of the HAMBURG STATE OPERA in 2001 after studies at the VICTORIAN COLLEGE OF THE ARTS, the AUSTRALIAN NATIONAL ACADEMY OF MUSIC and New York’s JULLIARD SCHOOL OF MUSIC. In 2013 he became a member of the ensemble at Essen’s renowned AALTO THEATER his roles for the company subsequently including Malcolm in MACBETH, Tamino and Monostatos in THE MAGIC FLUTE, Brighella in ARIADNE AUF NAXOS, Lurcanio in ARIODANTE, Don Ottavio in DON GIOVANNI, Ferrando in COSI FAN TUTTE, Arbace in IDOMENEO, Belmonte in DIE ENTFÜHRUNG AUS DEM SERAIL, Henry Morosus in DIE SCWEIGSAME FRAU, Pong in TURANDOT, and Yannakos in THE GREEK PASSION. His appearances elsewhere in Germany have noteably included Ferrando and Belmonte, and Alfred in DIE FLEDERMAUS all for OPER HALLE, while in the USA, Marzio in Mozart’s MITRIDATE RE DI PONTO, Andres in WOZZECK, Ferrando, and Kudrjasch in KATYA KABANOVA all for SANTA FE OPERA, and the role of Stoikus in the ASPEN OPERA THEATER’s American premiere production of THE GOLEM. In the UK his past appearances include Bill in FLIGHT and Flute in A MIDSUMMER NIGHT’S DREAM for GLYNDEBOURNE FESTIVAL OPERA. His 2016/2017 season included Scaramuccio in ARIADNE AUF NAXOS for NEDERLANDS REISOPERA, Spoletta in TOSCA, Goro in MADAME BUTTERFLY, Monostatos and Erste Gralsritter in PARSIFAL all for STAATSOPER BERLIN and Monostatos for THEATER AN DER WIEN with conductor, René Jacobs. During the 2017/2018 season, at STAATSOPER BERLIN he sang Monostatos, Zweite Jude in SALOME, and Erste Gralsritter , also in the FESTSTAGE production in Berlin conducted by Daniel Barenboim, the role of Mercure in HYPPOLYTE ET ARICIE in the STAATSOPER UNTER DEN LINDEN production, conducted by Simon Rattle at BAROKTAGE in Berlin and Dritte Knappe in the OPERA NATIONAL DE PARIS season of PARSIFAL. Michael Smallwood has worked with such leading conductors as Yves Abel, Richard Fames, Vladimir Jurowski, Freidemann Layer, Ingo Metzmacher, Julius Rudel, Ulf Schirmer, Steven Sloane, Stefan Soltesz, Constantine Carydis, Ilan Volkov, Alfred Eschwe, Josep Pons, Karl-Heinz Steffens, Marek Janowski, Michael Boder, Sir Simon Rattle and Tomas Netopil. A sought-after performer of baroque music, he has sung Ferrando in William Christie’s performances of COSI FAN TUTTE in Lyon and gave his US debut performances in Monteverdi’s L’ORFEO with Jane Glover in Chicago, and has worked with René Jacobs, Alessandro de Marchi, Hermann Max, Michael Hofstetter, Thomas Hengelbrock, Andreas Spering and Konrad Junghaenel. His festival appearances include the LINCOLN CENTRE FESTIVAL, Ravinia and Aspen, the MELBOURNE INTERNATIONAL FESTIVAL OF THE ARTS, the RUHR TRIENNALE and the HAENDEL FESTPIELE in Halle and Karlsruhe. On the concert stage Michael Smallwood’s performances include concerts of Bach cantatas with CITÉ DE LA MUSIQUE in Paris, Nono’s IL CANTO SOSPESO with the HAMBURG STATE PHILHARMONIC ORCHESTRA, and most recently, CARMINA BURANA conducted by Andreas Henning with the STAATSKAPELLE HALLE and also with the DUSSELDORF SYMPHONY ORCHESTRA, Mozart’s DAVIDE PENITENTE with the ESSEN PHILHARMONIC and REQUIEM with the LYON OPERA ORCHESTRA, Haydn’s CREATION with the LONDON SYMPHONY CHORUS, Handel’s MESSIAH with the VOCAL CONCERT DRESDEN, Beethoven’s SYMPHONY NO.9 in performances with the POTSDAM CHAMBER ORCHESTRA conducted by Michael Sanderling and also with the BERLIN PHILHARMONIC CHOIR, MISSA SOLEMNIS with the ST GALLEN SYMPHONY ORCHESTRA under Eduard Meier, Bach’s ST. MATTHEW PASSION with conductor, Christof Spering’s DAS NEUE ORCHESTER in Cologne, both the Evangelist and tenor soloist in ST JOHN PASSION for CONCERTO BRANDENBURG, the MASS IN B MINOR with STAATSKAPELLE HALLE and CPE Bach’s MAGNIFICAT with the DRESDEN PHILHARMONIC. Of his performances in MESSIAH, in Dresden during 2017, the DRESDNER NEUESTE NACHRICHTEN said, Michael Smallwood proved himself to be a shining star… he commands the ability to commance great expressiveness., and as both the Evangelist and tenor soloist in ST. JOHN PASSION in 2015, the LÜNEBURGER LANDESZEITUNG wrote … a wide emotional spectrum with an almost theatrical rendition of great clarity. His recordings include the DVD of the Robert Carsen production of CAPRICCIO, starring Renee Fleming, from the OPERA NATIONAL DE PARIS conducted by Ulf Schirmer, Pedrillo in the NETHERLANDS OPERA’s DIE ENTFÜHRUNG AUS DEM SERAIL, Willy Decker’s MOSES & AARON at the RUHR TRIENNALE, Don Ottavio in the Jean-Yves Ruf production of DON GIOVANNI at OPERA DE DIJON and the award-winning DVD of David Poutney’s production of Zimmerman’S DIE SOLDATEN, also in the RUHR TRIENNALE production. He has appeared in the world premiere recording of Bruch’s ARMINIUS, conducted by Hermann Max, with the GOTTINGEN SYMPHONY ORCHESTRA and in the live recording, in the role of Flute, in the GLYNDEBOURNE FESTIVAL OPERA’s A MIDSUMMER NIGHT’S DREAM conducted by Marek Janowski and also the roles of Dritte Knappe in PARSIFAL and Vogelsang in DIE MEISTERSINGER VON NÜRNBERG on CD with the BERLIN RADIO SYMPHONY ORCHESTRA, again conducted by Marek Janowski. Michael Smallwood‘s performances during 2019 will include Spoleta in Christophe Honoré’s production of TOSCA for OPERA DE LYON and at the AIX EN PROVENCE FESTIVAL. He will appear as soloist in Haydn’s THE CREATION for the NOTTINGHAM HARMONIC CHOIR.